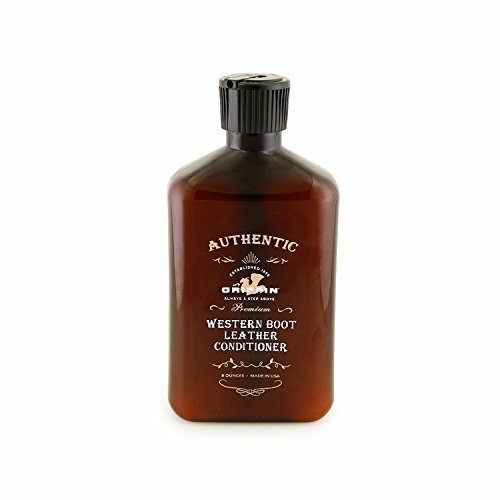 Griffin Western Leather Conditioner provides a penetrating, lasting condition while softening and preserving your leather. Take care and prolong the life of your leather goods with the fantastic Griffin Western Leather Care Products. CLEANS, SOFTENS, AND PRESERVES: Doing more than just conditioning, Griffin Western Leather Conditioner penetrates into the leather and skin to clean, polish, soften, protect, and preserve the life of your leather. PERFECTLY FORMULATED AND CRAFTED FOR PREMIUM SMOOTH, FINISHED LEATHER: The successful Griffin shoe care line, hand crafted an incredible formula to protect and preserve your most loved Leathers. BIG BONUSES: Soften, Moisturize, Promote Flexibility! If you have any questions about this product by GRIFFIN, contact us by completing and submitting the form below. If you are looking for a specif part number, please include it with your message.